BEWARE! Pennsylvania drivers involved in accidents in New Jersey may be subject to New Jersey’s “verbal threshold” (which is the equivalent of the “limited tort option” in Pennsylvania), even if they selected the “full tort option” when they purchased their Pennsylvania insurance policies. Under New Jersey’s Deemer Statute, N.J.S.A. 17:28-1.4, which applies to out-of-state drivers who are injured in accidents in New Jersey, if you are an out-of-state resident and you are hurt in an accident in New Jersey, and if your auto insurance company is licensed to do business in New Jersey, you will be subject to New Jersey’s restrictive limitation on lawsuit or “verbal threshold” laws (which are equivalent to limited tort laws in Pennsylvania). If you are subject to New Jersey’s “verbal threshold” (or Pennsylvania’s “limited tort option”), you have a limited right to be compensated if you are injured in an accident. This is true even if you elected the “full tort option” when you purchased your auto insurance policy in Pennsylvania. So what can you do to avoid New Jersey’s “verbal threshold” if you are a resident of Pennsylvania but do a lot of driving in New Jersey? First, follow the link below for a list of the auto insurance companies that are licensed to do business in New Jersey. If your insurance company is not on the list, you will not be subjected to New Jersey’s “verbal threshold” if you are injured in an accident in New Jersey. However, if your insurance company is on the attached list, you can change to another company that is not on the list, thereby avoiding New Jersey’s Deemer Statute and “verbal threshold” in the event you are injured in an accident in New Jersey. 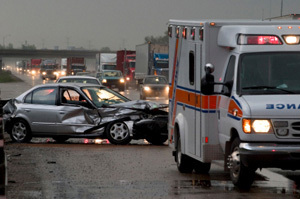 Despite the inherent unfairness of New Jersey’s Deemer Statute, one “benefit” is that it gives non-New Jersey drivers who get into accidents in New Jersey the benefit of New Jersey’s $250,000.00 of personal insurance protection (PIP) or first-party medical benefits. This means that your insurance company will pay up to $250,000 in medical bills, even if you selected a lower limit when you purchase your policy in Pennsylvania. So what can you do to protect your rights? Simply purchase a policy through an insurance company that is not licensed to do business in New Jersey, and if you are injured in an accident in New Jersey, neither the Deemer Statute nor New Jersey’s “verbal threshold” will apply. 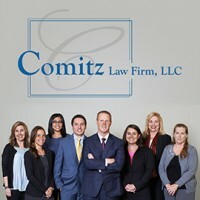 If you have any questions regarding New Jersey’s Deemer Statute or “verbal threshold,” or Pennsylvania full and limited tort options, please feel free to call Comitz Law Firm for a free consultation.